It’s beginning to look a lot like Christmas at Apache. Our festive window display is out, a festive discount code is available, and our footfall has gone through the roof. Want to out-smart everyone at the Christmas dinner table? Turn a few heads at an end-of-year party? Guide London has a gorgeous set of smart casual shirts all designed to make a huge impression. 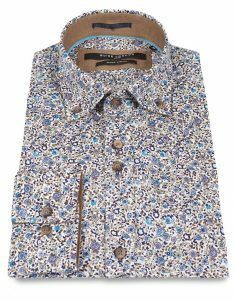 This button down shirt is a real classic of the genre — gorgeous floral pattern with a sumptuous caramel lining under the collar, placket and cuffs. Guide have spared no expense with a cotton-stretch fabric, but the £65 price tag is exceptional value. Check out the complete range of Guide London shirts here. If you’re going to get a cheeky pair of socks for a loved one this Christmas, do it properly. 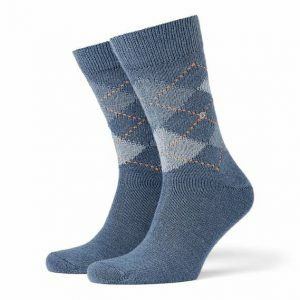 Burlington specialise in super-comfy Argyle socks with a real festive vibe — although you can wear it all year round. We’ve got a huge range of styles and colours — 12 in total — so you’ll have no trouble finding that perfect budget stocking filler. The newest addition to our wildly popular Diesel denim range is this cotton stretch, slim-skinny dark jean. While it may not be a skin-hugging, “super-skinny” fit, the jean is slim enough to offer a defined shape from hip to ankle. 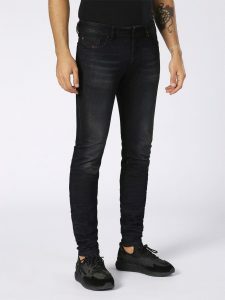 The dark blue denim wash is unique at Apache. Click here for the full Diesel jeans range. Even with a perfect-fitting jean, it’s good to have a stylish belt. 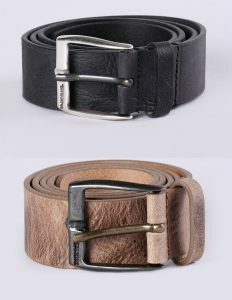 Oiled saddle hide is the mark of quality on this Diesel belt, available in three colours — Black, Grey/Brown, and Tan. Not the cheap “leather-board” that you get in many shops these days, which is why our belts last for years. At Apache, quality is our guiding principle. 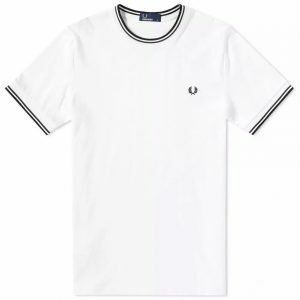 Fred Perry’s famous twin tipping is on show here, a classic design that has yet to fade after 50 years on the frontline of men’s casual fashion. These T-Shirts are a brand new style to compliment the hugely popular M3600 Twin Tipped Polo Shirt. If White isn’t your thing, we’ve a whole host of different colours for your consideration — click here. 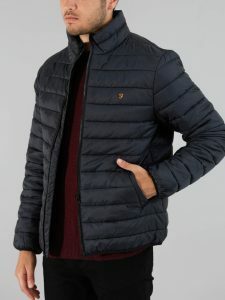 Every winter we always sell a ton of quilted jackets by Farah and Lyle and Scott. People love the look, as well as the warmth you get from a relatively light-weight garment. Farah’s “Bosworth” jacket boasts a sturdy zip through design, two outer pockets and one interior for security.